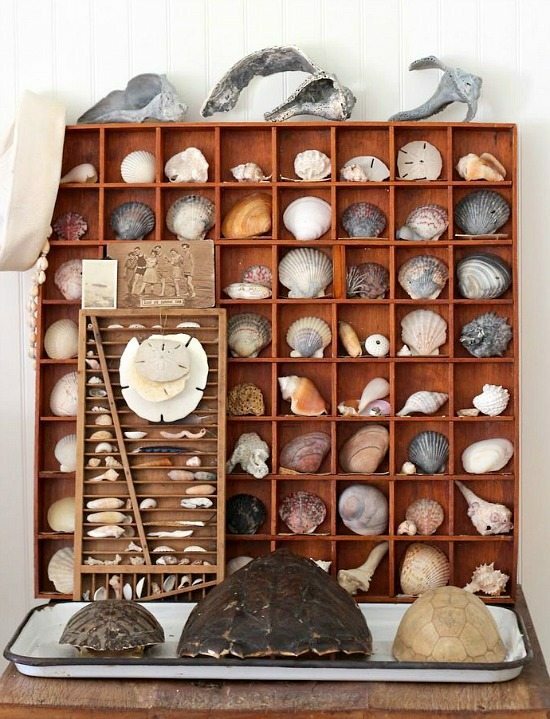 Photo display and shell decor ideas from a stylist who knows how to savor those beach memories and vacation days, and keep the good feelings alive. Decorator and photographer Becki Griffin of Curious Details specializes in interior styling and putting together the little touches that tell the story. 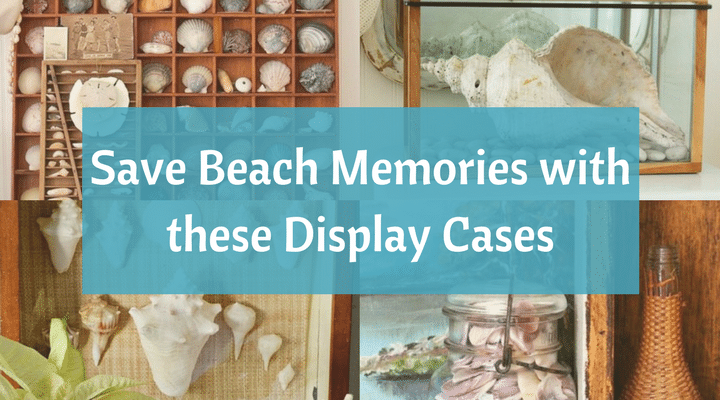 Becki savors her beach memories with photo displays, shell decor, as well as DIY art. 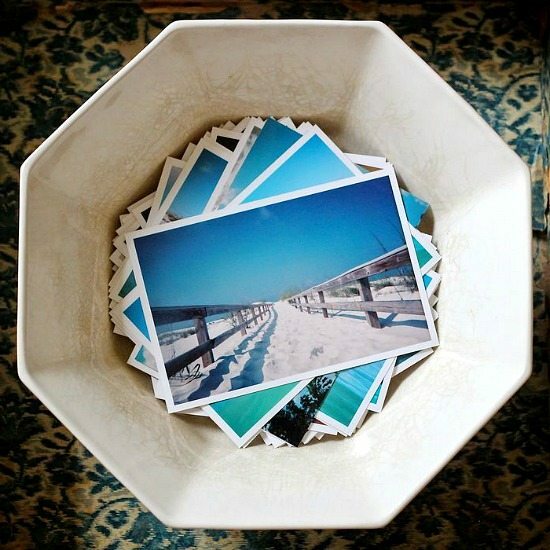 I adore the simple photo display idea -a bowl of beach vacation photographs! It’s one of the easiest ways to view your photos and invite everyone to enjoy them, she says. For a Beach Vacation Photo Wall Display, Becki takes the formal route and hangs a Photo Gallery Wall with images she took using her iphone. 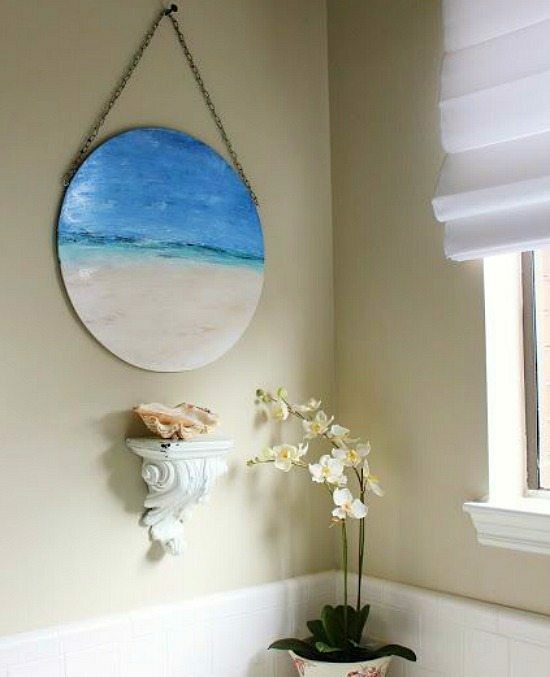 Her Beach Vacation Shell Decor Tray is a beautiful statement piece that allows for easy viewing, touching and switching shells out. Becki often wanders off for hours alone by the waters edge, collecting shells and other treasures. 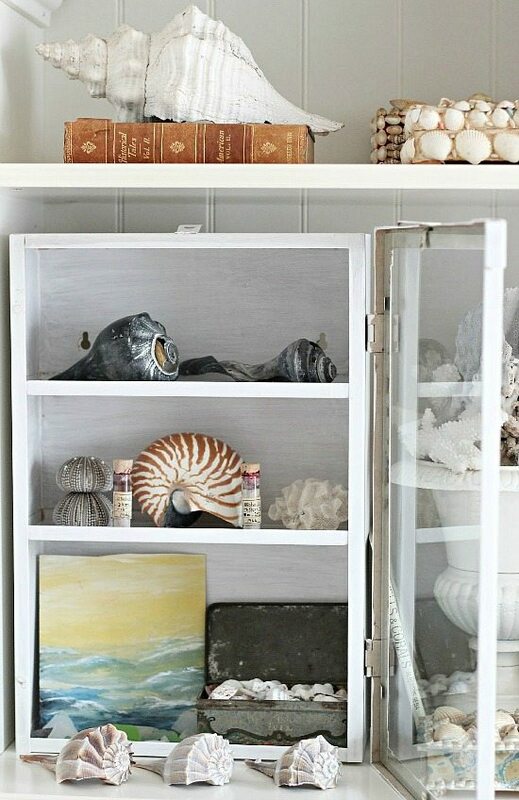 Shell decor in a small glass cabinet that sits on the bookcase in the Office. 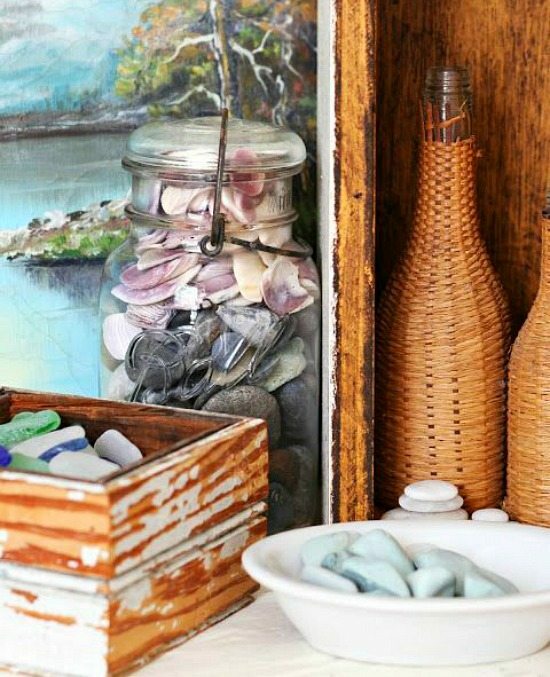 Simple shell decor and beach displays in Boxes, Bowls and Jars. 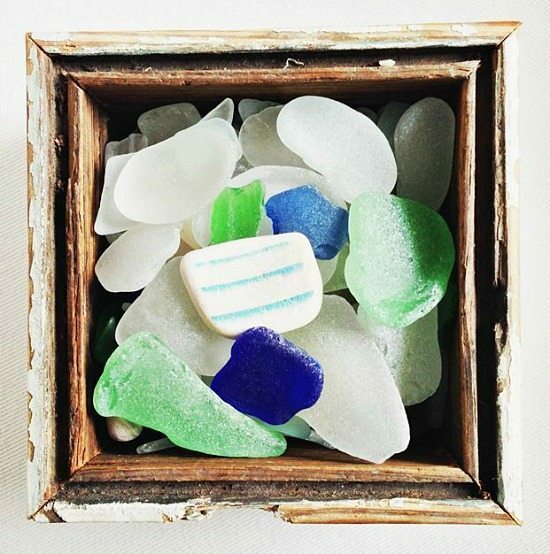 They’re perfect for holding the memories of beach and summer, Becki believes. 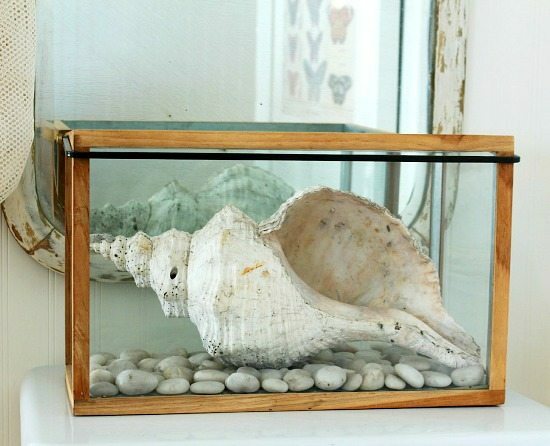 A beautiful large Shell in a Box. 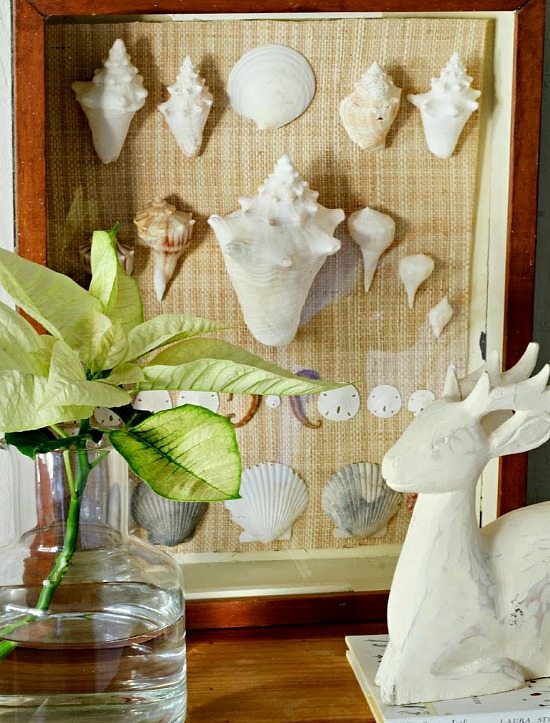 And Framed Shell Decor in the bedroom. 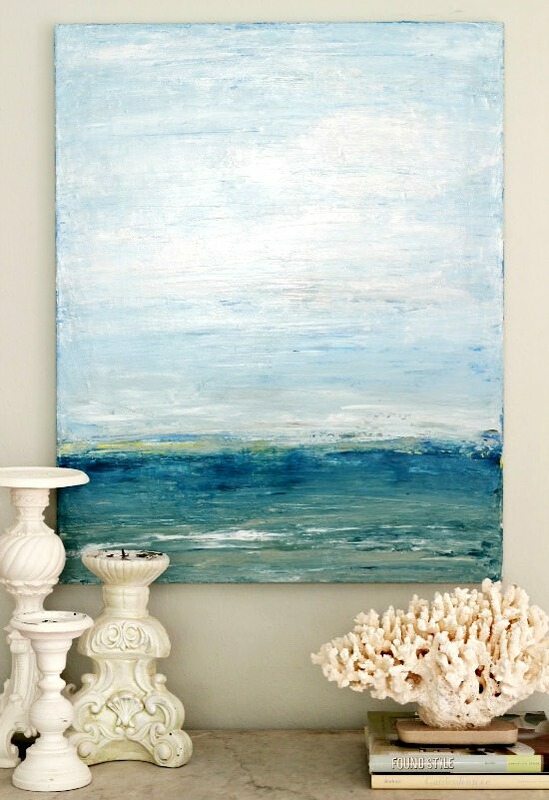 Then another way Becki savors her beach memories is by creating textured Palette Knife Beach Paintings. Becki never had lessons, nor does she take this too seriously. And most times she just uses paint she has on hand, including house paint, or craft paint. 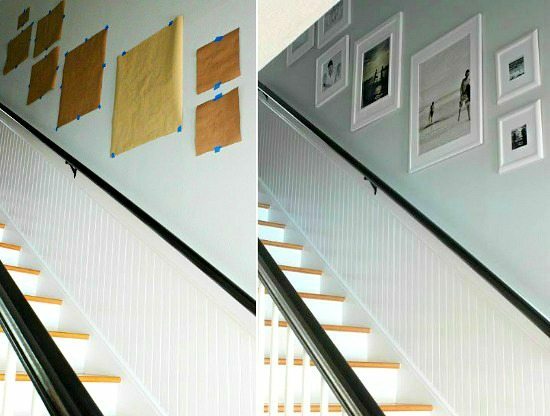 Maybe you should try Making your own Wall Art! Some of Becki’s priceless memories include vacations in Florida, building a fire on the beach on Cape San Blas, and a day in Sanibel. Seeing the Pacific Ocean for the first time, as well as living in New England. 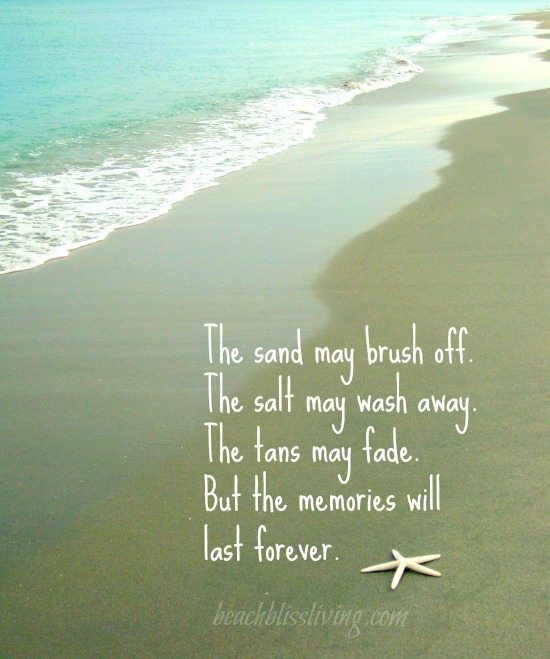 The tans may fade… but the memories will last forever! The lovely quote is available at my store on Canvas, on Wood, and as a Print.